Fiber speeds = improved economic performance. Fiber gives consumers access to super-fast speeds and the entire city with new opportunities to grow economically. With greater accessibility and faster speeds, the sky’s the limit: households can connect all of their devices without worry, entrepreneurs have the infrastructure they need to innovate and city governments have additional capacity to address local problems, from growing traffic congestion to managing large databases. And this translates into improved economic performance with the creation of more jobs, more innovation, as well as incentive for additional infrastructure investments and companies relocating or expanding into the city. In fact, a 2014 Fiber Broadband Association study found higher per capita GDP (1.1%) in communities where gigabit Internet was available.  In dollar terms, the 14 gigabit communities analyzed by the Fiber Broadband Association enjoyed approximately $1.4 billion in additional GDP over other, similarly situated communities. In another real life application, look at Kansas City, Missouri. Google Fiber introduced its product to this midwestern city in 2012, and, just one year later, ratings agency, Fitch, upgraded the city’s bond ratings from “negative” to “stable.” Why? The city’s growing gigabit offerings had “already attract[ed] a number of smaller Internet and data companies,” bringing in new businesses, creating jobs and boosting the economy. Three years later and this only resonates more. But the benefits of fiber speeds don’t end there! A recent Fiber Broadband Association study found that having access to gigabit fiber-to-the-home connections can increase your home’s valuation by up to 3.1%. People around the world are clamoring for all-fiber, ultra-high bandwidth networks, and, because of this your home may be worth an extra $5,437. That’s roughly equivalent to adding a fireplace, just under half the value of a bathroom or a quarter of a swimming pool to your home. And the benefits extend to renters and owners in multiple dwelling units (MDUs). A recent Fiber Broadband Association study found fiber broadband increases rental and property values in MDUs by 8 percent and 2.8 percent respectively. Higher rental and sales values mean better bottom lines for MDU owners and operators. Using base financial data from the National Apartment Association, the study estimates fiber can add 11 percent to net income for MDU owners and operators per average apartment unit. Find the full study here.